While there’s no shortage of continental fare in New York City, from soul food in Harlem to dim sum in Chinatown, Australian cuisine is harder to come by. Australian cuisine hasn’t had much exposure in NYC, but that’s changing. We profile the must-try Aussie restaurants in the boroughs. The Australian NYC is the premier destination for fine Aussie cuisine and culture. 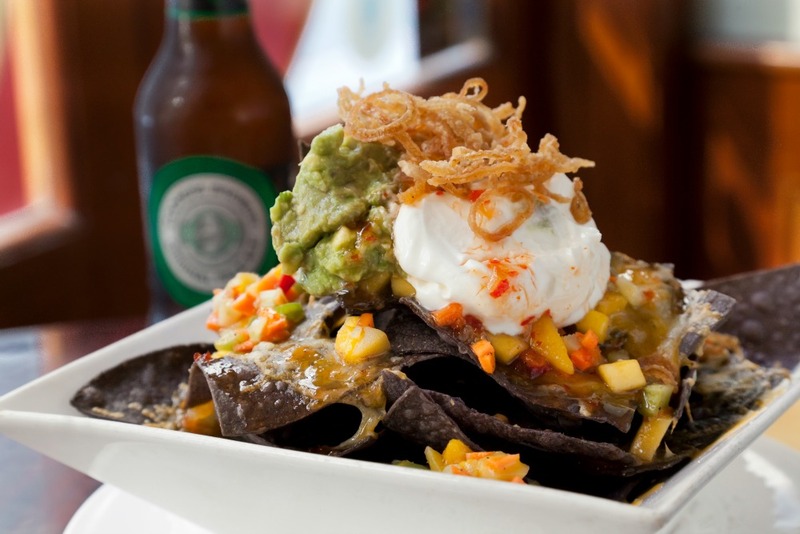 The Australian NYC offers up a variety of bar favorites with an Australian twist. Pair an Australian lager with grilled kangaroo on a stick, or opt for the Aussie burger topped with a fried egg, beetroot, and grilled pineapple. Finish your meal with a flat white coffee and a Tim Tam, Australia’s favorite cookie. Tuck Shop is best known for its classic meat pie. Savory ground beef seasoned with onions and spices is stuffed into a buttery, flaky pie crust. While these pies are delicious by themselves, spice them up with ketchup or hot sauce. Come to Tuck Shop for the kitschy decor, featuring images of Australian pop culture such as photographs of koalas, Skippy the Bush Kangaroo, and maps of Australia. This hole-in-the-wall café is a fantastic place for a hot new style of java. Little Collins Café gets its name from a famous street in Melbourne where you can find some of the finest coffee bars and restaurants in the city. Believe it or not, coffee is a huge part of Australian culinary culture. Try a hot flat white with an ANZAC biscuit, named after the Australia New Zealand Armed Corps. This biscuit was a staple for Aussie soldiers during World War II. Just across the waters of the Tasman Sea lies Australia’s twin island neighbor, New Zealand. On the island of Manhattan, you’ll find this Kiwi restaurant in the heart of South Street Seaport. Nelson Blue offers up both Aussie and Kiwi variations of standard bar food. Their burger is topped the traditional way with fried egg, beetroot, and pineapple, and since it’s Kiwi food, the menu is all about the lamb. Melbourne is well known as the culinary capital of Australia, and now, you can taste both the tucker and ambiance of Australia’s second largest city at Flinders Lane in the East Village. Try their roast beef sandwich with onion jam on sourdough, the authentic meat pie, and Aussie burger with all the fixings. Be sure to swing by during brunch for the Aussie brekkie. Down Under Bakery (DUB) Pies, established 2003, is the first specialty bakery to bring the authentic New Zealand/Australian experience, the culturally iconic meat pie, to New York City. Pies are available at The Pie Shop, from the mobile pie truck, and delivered right to your door; either frozen or through their catering services. You’ll find this cozy bakery/café just a stone’s throw from Prospect Park near the Prospect Park subway stop. Bluestone Lane’s Collective Café in the West Village offers a seasonal menu featuring progressive café food with table service for all-day breakfast, lunch and early evening appetizers. Combine this with a tastefully-designed aesthetic where you find respite from the daily grind of the Big Apple. Bluestone Lane’s menu reflects the café themes found throughout Australia, where there is strong focus on dishes that are healthy and do not require heavy cooking. They also provide a variety of gluten free and vegan options for those with dietary restrictions. The Thirsty Koala is an Aussie bistro located in the trendy neighborhood of Astoria. A short walk from the Astoria-Ditmars terminus of the N train, you’ll find a select variety of fine wines and kangaroo sliders. With friendly staff, a diverse menu that evokes the flavor of the bush, and an impressive wine, beer, and cider list, this place will transport you from Queens to Queensland in one bite.